PayPal vs Amazon Pay: Which one is for you? 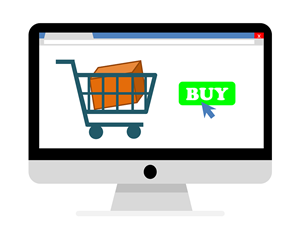 When it comes to setting up an online payment method on your e-commerce site, PayPal and Amazon are the two front-runners that you should consider and trust. But choosing between the two isn’t that easy. To help you out, let’s get to know these big guys one by one, including each company’s pros and cons and target customers. This online payment supports 24 currencies and allows payment from bank accounts or their current PayPal balance and not just credit or debit cards. Setting up PayPal on your e-commerce site is very easy too. You can start accepting payments on your website in minutes which you can easily do on the PayPal website. Most customers prefer PayPal because the transactions are fast – with just a few clicks and without the hassle of entering different info like addresses, 16-digits, expiry date or codes. As of today, there are already 192 million shoppers who check out with PayPal. The company also offers a “Seller Protection Policy” that protects your eligible sales from fraud through 24-hour monitoring and advanced encryption. Now let’s talk about its downsides. The fees for receiving money for goods or services can be higher than other merchant accounts. According to the site, each transaction is 2.9% plus $0.30 USD of the amount you receive. Because it’s the trusted leader in digital payment technology, the company is quick to hold sellers’ funds or freeze and shut down accounts in case of complaints or suspicious activities, and this scares most sellers using PayPal. But in the end, the pros seem to outweigh the cons. Amazon is a big name in the retail industry, we all know that. Amazon Payments is a subsidiary of Amazon.com that allows your customers to purchase your goods with their Amazon accounts. Unlike PayPal, this payment service only allows shoppers to pay from their Visa or MasterCard and not from bank accounts. The e-commerce site already has 215 million active accounts so you are ensured that you already have a large existing customer base that would probably prefer this type of payment method. But not all your potential customers have Amazon accounts, and this is what customers need in order to pay for their purchases. Those that don’t have existing accounts might be thrown off if this is the only payment method that you have on your e-commerce site. As for the fees, you will be charged of a processing fee and an authorization fee per transaction. The transaction fee is composed of a domestic processing fee of 2.9% and an authorization fee of $0.30, plus tax where applicable, charged when the purchase is successfully authorized and processed. To know more about Amazon Pay fees, visit this page.